Dipping into new technology allowed Golden Flake to more accurately forecast customer demand and optimize production schedules. 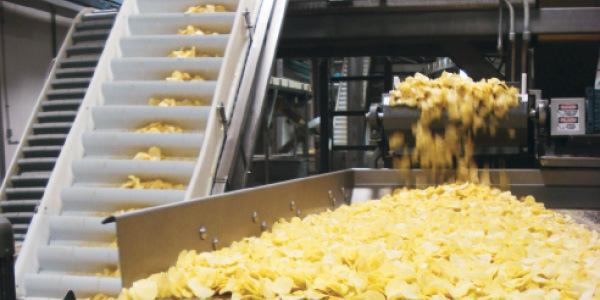 With store replenishment lagging behind sales growth, potato chip maker Golden Flake deployed a mobile inventory-tracking solution to satisfy its craving for stock visibility. Food shoppers can be fickle. Demand is immediate, but bad impressions last a lifetime. Brand awareness and affinity are intrinsically tied to inventory availability at the store shelf—in effect, how well manufacturers and retailers can sense demand shifts, push those signals to distribution facilities, and trigger replenishment. When buyers get what they want, when they want, they come back for more. Golden Flake Snack Foods—a Birmingham, Ala.-based manufacturer and distributor founded in 1923—recognized that as its business grew, it couldn't replenish inventory fast enough to ensure store shelves were fully stocked with its potato chips, pork skins, tortilla chips, cookies, and other products. Between 2009 and 2010, its sales more than doubled, in spite of the U.S. economic recession. The company distributes its snack foods through retailers in 12 southern states, and sells direct to consumers in bulk quantities from its Web site. Golden Flake relies on a team of 600 sales representatives to visit customer stores, remove out-of-date product, issue credit checks when necessary, and restock shelves with inventory from their trucks.